Doris Bray’s practice concentrates in the business and transactional areas. She advises clients in establishing their businesses, including assisting clients in determining the most advantageous financial and organizational structure for their business, and preparing all necessary documentation. She is knowledgeable about setting up corporations, limited liability companies, and partnerships. She is also experienced in negotiations and documentation of business operational matters, such as executive compensation plans and arrangements, equity compensation plans, purchase and sales agreements for goods and services, and negotiation of various types of loan and credit agreements and facilities. Over the years, Ms. Bray has represented both buyers and sellers in hundreds of business acquisitions – through mergers, stock acquisitions and sales and purchases of business assets in both taxable and tax-free transactions. Such transactions have involved both strategic and financial buyers and sellers of businesses. Ms. Bray is an experienced securities lawyer, having acted as legal counsel in connection with public offerings and private placements of both equity and debt securities. She has represented public companies in connection with their compliance obligations under the federal securities laws. Ms. Bray has represented numbers of clients, including buyers, sellers and management, in leveraged buyouts, private equity and venture capital investments. 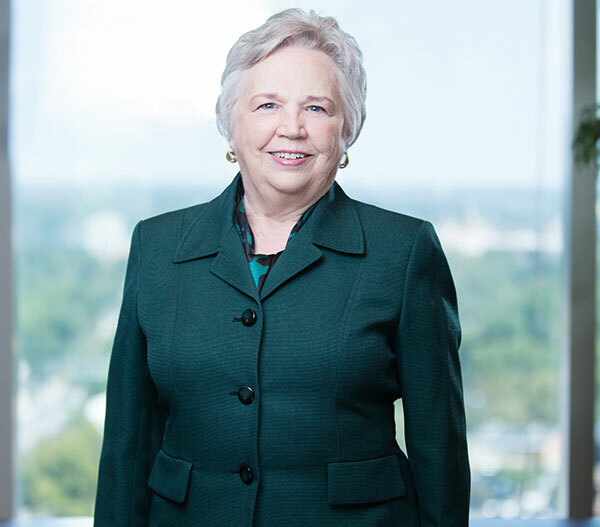 Ms. Bray served for 20 years as a member, and as vice chair and chair, of the North Carolina General Statutes Commission, a state commission charged with monitoring and updating the statutory laws of North Carolina. She also served on the drafting committees for the rewrites of the North Carolina Business Corporation Act and the North Carolina Nonprofit Corporation Act.